Modern Light Eye ceiling pendant suspended on a clear cable. A small, circular, eye ball style ceiling light with a long drop. Great lighting for using over tables and kitchen islands. The Light Eye can be used individually or hung together in a group of 2 or more over larger size tables and kitchen islands. 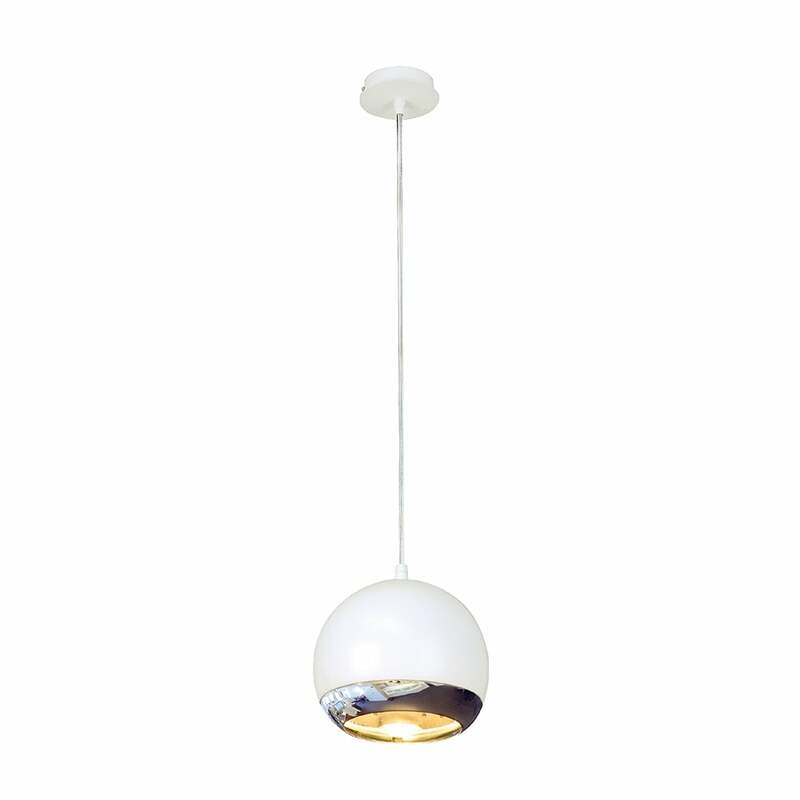 This pendant is suspended on a clear wire from a circular white ceiling rose. The wire can be shortened to adjust the height when the light is fitted. The round eye ball shade is in white with a circular chrome surround at the bottom. Can be used with a standard halogen or low energy GU10 bulb or even better when used with one of our LED GU10 bulbs. These bulbs are very long lasting and economical to run which is a big consideration if the light will be on for long periods of time.